Joe Bowditch is adamant Viddora is going as well as ever as she prepares for her first international assignment. Viddora arrived in Dubai last week ahead of the Al Quoz Sprint at Meydan on Saturday night with jockey Bowditch and trainer Lloyd Kennewell due in on Monday. 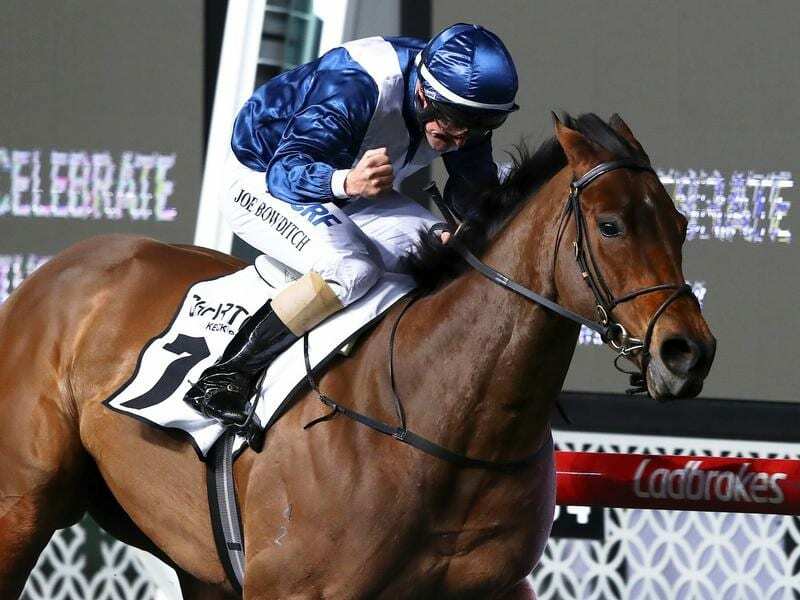 Bowditch, who moved from South Australia when Kennewell relocated to Melbourne last year, is Viddora’s regular partner, winning two Group One races on the mare, Perth’s Winterbottom Stakes and the Moir Stakes at The Valley. He was happy with her performance in the Oakleigh Plate last month. “I had Fell Swoop outside me dictating to me for most of the race and putting me in a part of the track where I didn’t want to be,” Bowditch said. “She’s a horse that likes a bit of room and which she didn’t get in the Oakleigh Plate. Bowditch is making his first trip to Dubai and it could have ended at Melbourne airport on Sunday night but for the eagle eye of his Adelaide mortgage broker Ben Slater. With only three months remaining on his passport, Bowditch did not realise he needed six months for international travel. “Ben was tying up a few loose ends with the house in Adelaide and he noticed the passport was about to run out,” Bowditch said. “He obviously knew Viddora was going to Dubai and he mentioned to my wife Jen that ‘if Joe wants to go to Dubai then he’d better get his passport sorted’. Viddora is likely to get a look at the Meydan straight course on Tuesday which Bowditch does not think it will be a concern. The mare raced at Flemington over the straight course in October 2016, finishing sixth behind Sheidel. “We were lucky enough to gallop her up the straight at Flemington with a mate before she left and she worked quite well,” Bowditch said. “That being her second time up the straight she seemed to handle it all right and hit the line really well but it’ll be nice to have a look at the straight there though. Brave Smash and Illustrious Lad will also represent Australia in Saturday’s Sprint, a race won by Ortensia in 2012 and Buffering in 2016.